The 1960s sparks pictures of hippies, peace and free love and being the period of self-discovery. As the shackles of post-war stoicism fell away, people wanted to take to the open roads to explore the world and one place that became instantly popular for the backpacker was India. As more cheap flights to India have become available, it’s a place that has maintained its popularity and one state in particular has kept the spirit of the sixties – Goa. Lying in western India, Goa’s laidback and welcoming atmosphere is perfect for any backpacker looking to get away from the hustle and bustle of Western life. Within the state, there is a wide diversity of life, ranging from the cities to the jungle down to the beaches. In general, tourists tend to flock to the coastal region where the views that greet here you are utterly idyllic. If you’re looking to experience paradise and want all the wonder of India without the chaos of the mainland states then you’re definitely heading to the right place. If you want to relax on beautiful beaches, head for the main beach areas which are north of Panaji, the state capital. 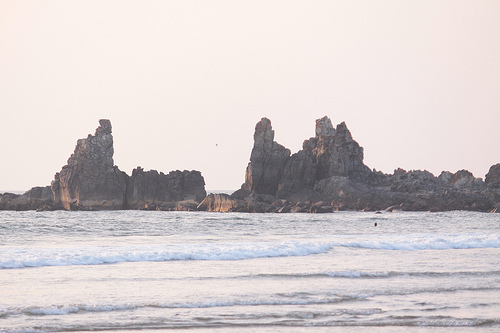 For that authentic hippy experience, make sure you take in Anjuna beach which lies 11 miles north of the capital. Once the home of the hippies, the atmosphere is still thriving with beach shacks along the front, which stay open until midnight providing a psychedelic ambiance to your journey. There is also a flea market every Wednesday which attracts big crowds so be sure to get there early. 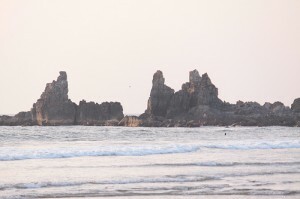 For a quieter beach haven, try heading further north to Arambol beach where you can find a much more relaxed atmosphere. Here you’ll be able to relax with some alternative therapies such as yoga and even a spot of dolphin spotting. The nightlife can be wild in Goa, so if that’s what you’re looking for from your backpacking trip make sure you visit Calangute Beach, just 10 miles north of Panaji. Here the life is much more tourist driven with sun loungers littering the beach. After a spot of sunbathing, it’s off to enjoy the fine cuisine and then onto one of the many parties that go on long into the night. For anyone who wants to explore the Indian culture, there are many iconic religious buildings you have to see including the Sri Mangueshi Temple in Priol and the breathtaking Se Cathedral in Old Goa. Both show the importance and influence of religion on a country which holds its beliefs at the forefront. You should also visit one of the old Portuguese forts that are still dotted around the country to gain an idea of what life was like in Goa whilst under Portuguese rule. And to discover natural Goa, book onto a Goan jungle adventure in Palolem which takes you off into the lush land to explore. Here you’ll get to meet some jungle animals, trek to beautiful waterfalls and have a bit of fun exploring the canyons too. Natalie Likness’ love of travel was introduced to her from an early age due to a trip abroad before she was even born! Having close family and making friends across the world, she has continued to travel ever since.